Cala Pilar is an unspoilt beach in the north of Menorca. 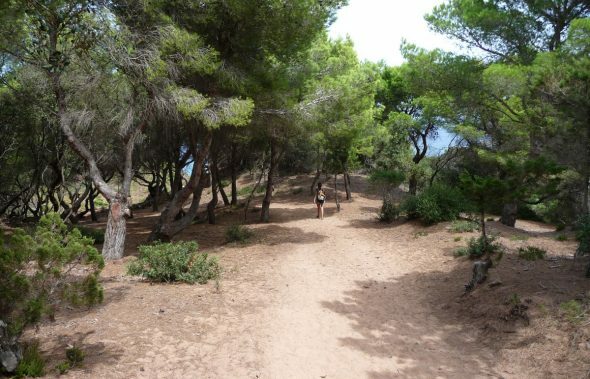 It is a really difficult to reach beach located between Ferreries and Ciutadella. 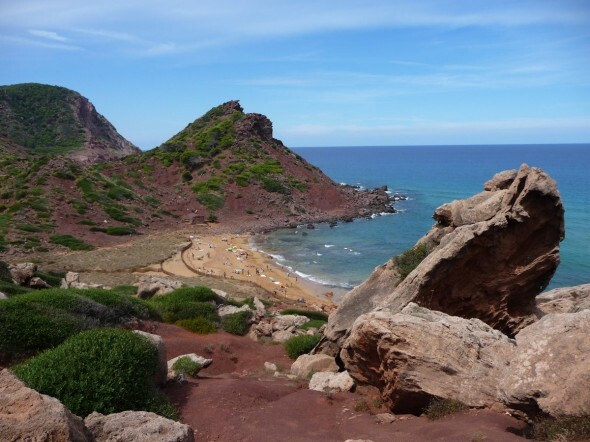 The sand of Cala Pilar, as in most of the north beaches, has a very curious red colour. The water is crystal clear when wind conditions are favourable. One of the peculiarities of this beach is its heavy exposure to the Tramuntana ( wind from the North). Before going to Cala Pilar be sure that no north wind blows because in this case most likely you will find yourself with quite big waves plus accumulated dirt on the shore. If you go from Ciutadella, you can reach the main road towards Maó, taking the exit of Cami de Pilar at Km 34 of the road. If you go from Maó you should take the main road to Ciutadella and take the exit at Km 34 of the road. You have to be careful because the exit is not really well indicated, and you’ll only see it once you are quite close to it. Avoid making U-turns as it would be extremely dangerous. Once in the parking, you have to walk about 30 minutes along a really nice path through the forest to the beach. If you like the landscape, it will likely take you 40 or 45 minutes, as the path allows to take some cool pictures. The beach of Cala Pilar is quite small and does not have any services. In addition, there are no shaded zones so if you plan on being a long time is best to bring plenty of water and a parasol. 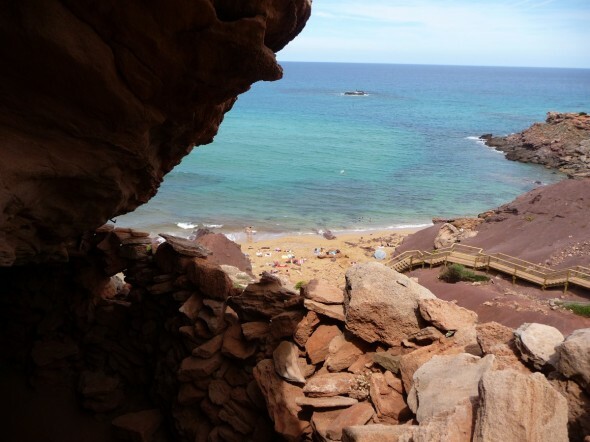 If you’re sick of sun, near the beach is a very tiny “cave” where you can rest for a while. As Cala Pilar is in a extremely well conservated environment, nearby hotels are quite far from the beach, in Cala Morell or Ferreries developments. If you are looking for a hotel on the beach, here you will not find it, but you can try to be as close to beach as possible if you are planning to make a visit to this little paradise. Agroturismo Biniatram: Family-run hotel accommodations with free wi-fi and free parking. In Cala Morell. Agroturimse Ca Na Xini: Rural Accommodation in Ferreries with wi-fi and free parking. 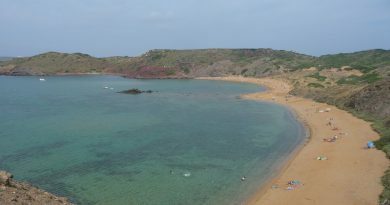 Cavalleria Beach is located in the north of Menorca. 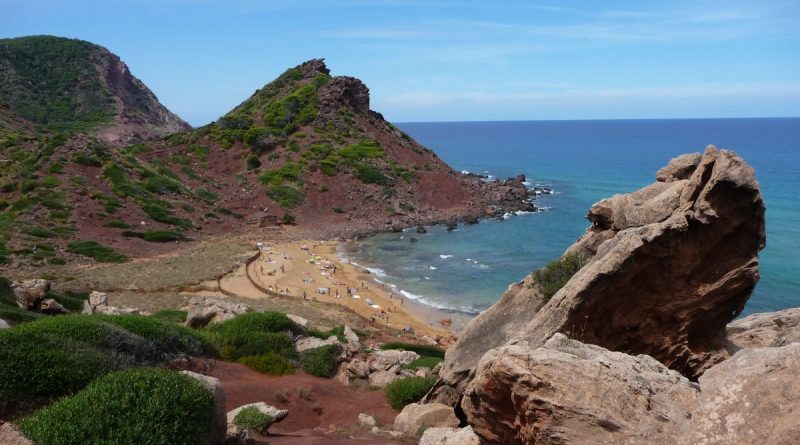 It is far from the developments and is one of the most beautiful beaches on the island. In summer it gets very busy, but you can always park relatively close and for free. It has over 500 meters in length and a width that despite progressively being reduced by the erosion, remains more than sufficient to lay the towel and enjoy. Diving with glasses (snorkeling) at the sea is a very easy sport to practice in Menorca. For snorkeling you only need a pair of glasses and one tube, easy and cheap. 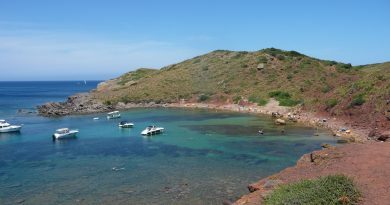 Want to know what are the best beaches and coves in Menorca to snorkel?